Paulina Christensen, PhD, and Anne Fox are veteran language teachers. Chapter 1: I Say It How? Speaking German. Chapter 6: Shop ’til You Drop. Chapter 9: Getting Around: Transportation. 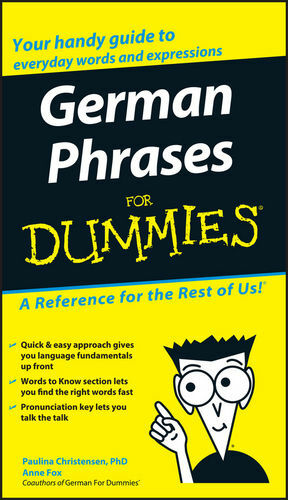 Chapter 12: Ten Favorite German Expressions.